This book has been withdrawn from publication due to issues of integrity, and is no longer available. I was sorry to hear about the book’s problems, and certainly condemn the errors. Nevertheless, I think the particular points shared below are still relevant, and I leave them here on the blog. 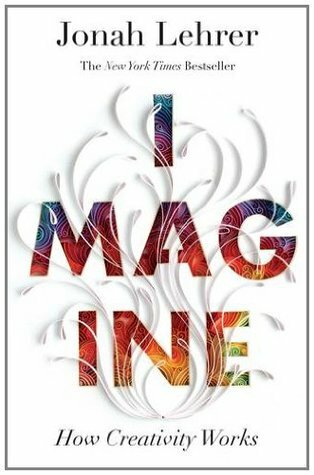 I’ve already twice posted appreciations for Jonah Lehrer’s new book, Imagine, but I want to add a short third post here appreciating his thoughts about the book’s lessons for educators. In the last chapter, he profiles the excellence of NOCCA: the New Orleans Center for Creative Arts. What’s interesting is what does not happen [at the school.] The students don’t sit in chair and listen to a long lecture. Many rooms don’t even have chairs. They don’t retrieve textbooks or being a series of exercises designed to raise their test scores on standardized tests… Instead, students spend their time creating: they walk over to their instruments and sketchbooks and costumes and get to work. We’re 120 years behind the times in all the right ways. At some point, vocational education became a dirty word. It became unfashionable to teach kids by having them do stuff, by having them make stuff. Instead, school became all about giving kids facts and tests. Now, I’ve got nothing against facts and tests, but memorization is not the only kind of thinking we should be encouraging. When we obsess over tests, when we teach the way we’re teaching now, we send the wrong message to students. We’re basically telling them creativity is a bad idea. Creativity and innovation, as I often discuss here, isn’t about bolt of lightning inspiration or brilliantly unique, even idiosyncratic genius: it is about perseverence, iteration, experimentation, association, and just plain, as Lehrer emphasizes here, grit. Lehrer then moves to praise a school often highlighted here on 21k12, High Tech High in San Diego. Like NOCCA, High Tech High emphasizes learning by doing– every student is required to complete numerous projects that take up much of his or her school day. “People act like we’ve got this radical concept of education,” says its CEO Larry Rosenstock, “but it’s actually been around for a long time. Dewey said it best: Understanding derives from activity. Kids don’t learn when they’re consuming information; when someone is talking down to them. They learn when they’re producing stuff. It all comes back to creativity and innovation, the essential 21st century skill and aptitude. To enhance its development, our schools must become more like NOCCA and High Tech High: places of exploration, experimentation, iteration, and, simply, grit: the work of learning via learning by work. Project-Based learning, and good old fashioned “making stuff,” was how learning happened for centuries and millenia, and our schools today must keep striving to re-institute learning by doing.